Please feel free to check our list daily as we continue to add more players each week. All info will posted on the message board and our facebook page first. vert and run a 4.37.
im only 5'6 but fast , i led my team in touchdowns last season with 17 TD grabs and i can , i dont care how high the pass is i will go get it. Excellent hands and like to run and have incredible speed..all around athlete play and position,basically a playmaker.most of all team player..
either D or O. Have good hands. and am in good football shape. I ran track at the D1 Collegiate level for 4 yrs ( University of Tennessee Lady Volunteers). I am now a sports Performance Coach for Velocity Sports Performance. 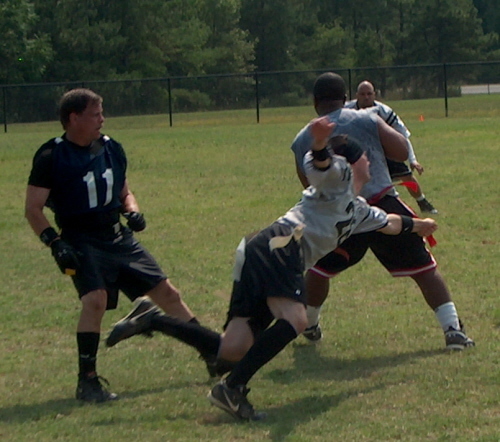 I have played one year of co-ed flag football here in Charlotte, and im quick as well as fast, powerful, agile. if you need kickoffs into the end zone, i am the man for you. used to kick for JCSU. Played several years of intramural football in college and after. Normally play QB but WR works well also. Just looking for some good competition. I played safety and LB in College. 6-1 240 I can run still and catch. I just want fly around a little. Have some tournament experience while i was in the Army, Currently a Full-Time Police Officer. I miss playing. WR - Div II Football - Wayne State University - Detroit, MI. 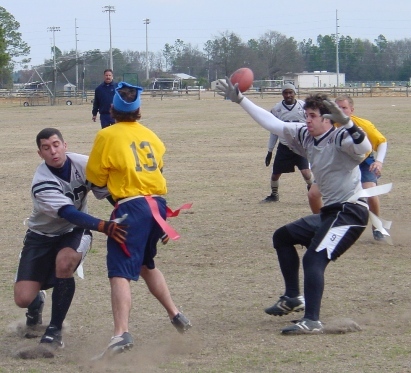 Played competitive flag football since 2000. Participated in 7 man National Tournament in Orlando, FL two times with Detroit II. I'm in the army reserve and I run a lot and workout, I also love watching football. 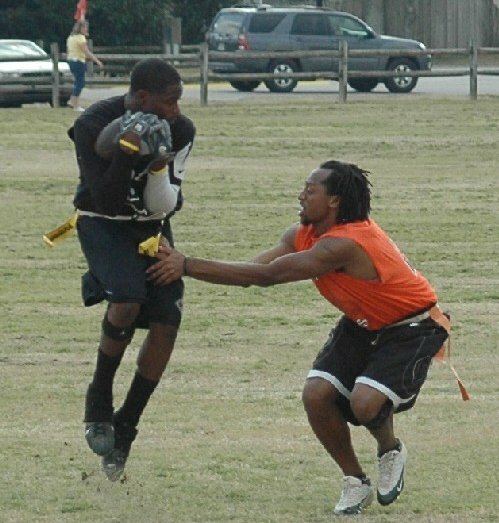 I saw some people playing flag football and thought that I could play and dominate if I was given the chance. So that brought me here.